Burial following service at Wildey Cemetery. In everything he did, Theodore “Ted” Washburn’s family came first and foremost. He was the sort of person who would do anything for anyone, and with his warm and outgoing personality he seemed to know everyone. Ted was known for his strong work ethic and his attention to detail, but perhaps what people will remember him most for was the way he faced whatever came his way with both strength and courage. Faith was the compass he used to direct his steps, and his life exemplified what it means to be the hands and feet of the Lord he loved. Life will never be the same without Ted here, but he leaves behind a timeless legacy that his loved ones will proudly carry on in his footsteps. The year 1941 is often remembered as the year of the vicious attack on our naval base in Pearl Harbor on December 7th. This left President Franklin D. Roosevelt with no choice but to declare war the next day. With that, countless young servicemen and women were sent overseas while rationing on common goods became a way of life for those who remained stateside. It was in March of that same year that Ralph and Verna (Glidden) Washburn announced the birth of the baby boy they named Theodore on March 8, 1941. 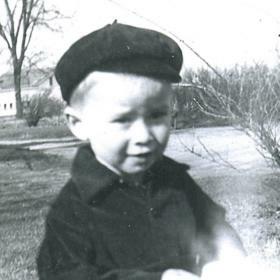 The second of five children, he was raised on the family fruit farm in Decatur alongside his older sister, Joanne, and his younger siblings, Ken, Kathy, and Wendy. Growing up on the farm instilled within Ted and his siblings the value of hard work that would follow him for the rest of his life. They had a family cow that both Ted and his brother took turns milking. The Washburns also had a horse, which gave Ted the best stories to share with his family later in life. He attended Lawton High School where he played both basketball and football. After graduating in 1960, Ted began classes at Michigan State University. His days in school were short-lived, however, as he was so inspired by President Kennedy saying, “Ask not what your country can do for you but what you can do for your country,” that he enlisted in the United States Air Force in 1961. When his father became sick a couple of years later, Ted was honorably discharged from the service so he could return home to run the farm. 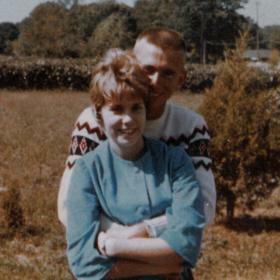 Not to be forgotten during his years in the military was Ted’s growing love for his sweetheart, Linda Holland. Their families had known each other for years, but they didn’t officially start dating until after the families had taken a vacation together, which was shortly after graduating from high school. Since Ted was in the military, their love really took root through letters. 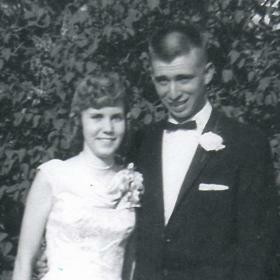 With the desire to spend the rest of their lives together Ted and Linda were married on July 6, 1963, at Decatur Bible Church. Together they welcomed three children including Shari in 1965, Steve in 1967, and Laura in 1974 into their hearts and home. Ted was an amazing father who taught his children so many amazing things such as the importance of a strong work ethic, the love of animals, and a love for farming. For as long as he was able, Ted was one who liked to keep busy. He was handy and could fix anything, and he loved making things in his wood shop. A man of unwavering faith, Ted was a longtime member of Faith Baptist Church in Mattawan where he served on numerous boards, was a member of the choir, and served as a deacon. Over the years Ted went on various mission trips where he helped with construction in Grenada, Brazil, and Japan. 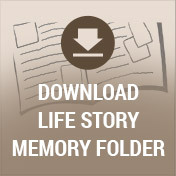 He faithfully read his Bible and studied the Scriptures, and his mission was to live for the Lord every single day. 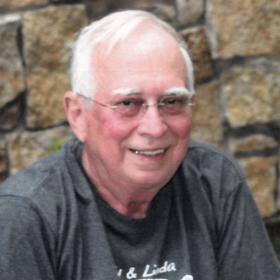 Ted loved to sing, especially Southern gospel and classic hymns. Even when he suffered a heart attack in 2004 and underwent a kidney transplant donated by a dear friend Cathy Burlison in 2008, Ted’s faith remained strong.  He never lost hope and continued making his family his primary focus. In 2016 his kidney failed, which meant that the last months of his life were spent with regular dialysis. In his downtime, Ted enjoyed reading biographies, especially of various American Presidents. Described as quiet, funny, and wise, Theodore “Ted” Washburn was a blessing in the lives of everyone he met. His faith in Christ served as the foundation for his life. Ted treasured the moments spent with his family, and together they created numerous memories that have become a precious keepsake. He will never be forgotten. Theodore “Ted” Washburn, of Lawton, died on Tuesday, October 3, 2017, at Rose Arbor Hospice. Ted’s family includes his wife, Linda; 3 children: Shari (Brent) Leppke, Steve (Lori) Washburn and Laura (Chul) Yoo; 11 grandchildren: Lindsay, Levi, Emma, Zoë, Bethy, Abby, Sarah, Jack, Sophie, Theo, Chloe; 4 great-grandchildren: Lucy, Titus, Elias, Henry, and one expected great-grandchild; 2 sisters, Kathy (Zane) Bradley and Wendy (Gary) Kaltschnee. 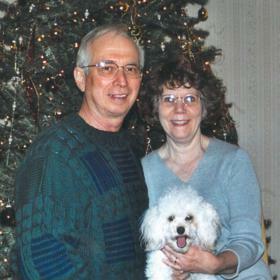 Ted was preceded in death by his brother, Ken Washburn; sister, Joanne Verschoof; and granddaughter, Juel Washburn. Visit with family and friends on Friday from 4-7 p.m. at the Life Story Funeral Home, Betzler & Thompson, 60900 M-40, Paw Paw (657-3870). Funeral Services will be held 10 a.m. on Saturday at Faith Baptist Church of Mattawan (56070 Murray St). Please visit Ted’s personal web page at www.BetzlerFuneralHome.com, where you can archive a favorite memory or photo and sign his online guestbook before coming to the funeral home. Memorial donations may be made to Faith Baptist Church of Mattawan or the American Kidney Foundation.